Messing about with tradition claims victims. And in some places this is more visible than others; the big difference for me when I crossed the border was the number of ruined churches I encountered. Suffolk has barely a dozen; Norfolk has almost a hundred. Some are survivors of lost communities, but most sit quietly in otherwise lively towns and villages, mute witness to changing needs. As I explored on the introduction to Cawston and Salle, Medieval churches were not designed for congregational Anglican worship. Their size does not reflect the need to accomodate a large congregation; they were never intended to be full. But once the need for processions, expositions, guild and chapel altars and private devotions had passed, all that compelled their survival was their suitability for congregations. After the Reformation, the Church of England was saddled with thousands of over-large buildings unsuited to their reformed use. Another result of the Reformation and the triumph of puritanism was a deep suspicion of all things medieval, and this, inevitably, led to a careless attitude to the fabric of the buildings. In East Anglia, many churches are constructed out of flint and clunch; if not properly maintained, these soft materials can cause buildings to collapse, and throughout the 17th and 18th centuries many of them did. Inspired by the ideas coming out of Oxford in the early 19th century, the Victorians oversaw a return to the Church of England of Medieval ideas, forms and passions. They recognised that many medieval churches were in a bit of a state. They enthusiastically repaired, restored and reordered them. This was handled more sensitively some places than others. There is no doubt that Victorian triumphalism seriously over-stretched the Church of England, especially in rural areas with declining populations. 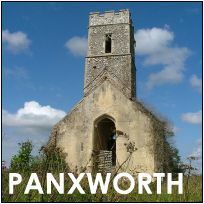 This decline had set in early in Norfolk; by about 1850 many villages were haemorrhaging their communities to the towns. Two world wars helped sustain some sort of belief through the first half of the 20th century, but by the 1970s it was inevitable that Dioceses like Norwich would have to seriously reconsider the extent to which their resources were spread. There were simply too many churches to maintain for too few people. Nowadays, the CofE tends to be a bit more sensitive to the needs of local communities, devolving ministry into lay hands in an attempt to keep as many churches in commission as possible. But in the 1970s, redundancy seemed a sensible quick-fix option. Many redundant churches of significance were vested in the care of the Redundant Churches Fund (although tragically this did not happen as often as it should have done) but many were simply put on the market for conversion into homes. 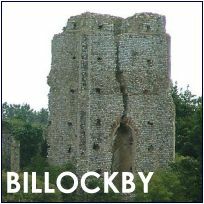 An insidious part of the legislation that governed redundancy was that if a building was not listed at a sufficiently high level, then failure to find a new use within three years would result in its mandatory demolition. 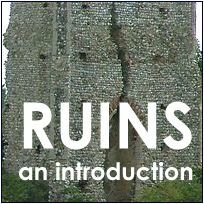 Here, then, are three churches that are ruins for apparently different reasons. 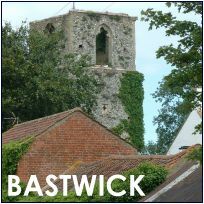 Bastwick fell foul of the Reformation, Billockby of misfortune and poor maintenance, and Panxworth of Victorian over-enthusiasm. But in fact there was one over-arching imperative that led to their demise, a nagging doubt that returns again and again to haunt the Church of England: medieval churches are not ideally suited to congregational Anglican worship. Victorian attempts to return the CofE to its medieval roots postponed the loss of many buildings, but now we sit on the edge of the precipice again. How the Church of England manages its own decline over the next few decades will determine the fate of many, and be a measure of our values as a civilised nation.